Emali is a settlement in Kenya’s Rift Valley Province located along the A109 road, a main road link between the Kenyan cities of Nairobi and Mombasa. It is also known as The Mombasa road. For the majority of the distance, the road runs adjacent to the Nairobi-Mombasa main line, itself a branch of the Uganda Railway. It is also regarded as one of the most dangerous roads in the country due to the many hundreds of road deaths that have occurred in the last few years. 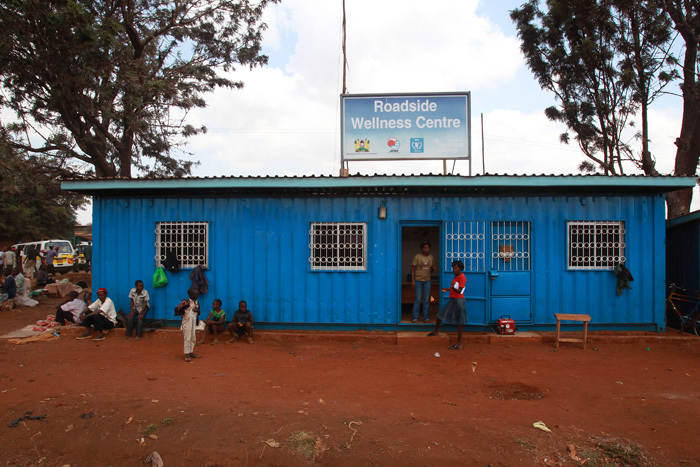 To help improve health along this important corridor, North Star opened a Roadside Wellness Centre at Emali in July 2010 as part of a robust network spanning Kenya, and the entire Northern Corridor. Located 10 meters from the highway at Emali shopping centre.